The answer to this question depends upon a number of different factors. Sometimes it has to do with things that are outside your control (such as statutory rules), and sometimes it has to do with what is in your best interest. Either way, there are pros and cons for each chapter of bankruptcy. The main reason why someone would be a good candidate for a St. Louis Chapter 13 bankruptcy is if their home is about to be foreclosed upon. When you fall behind on your mortgage payments, and the bank or lending institution seeks to foreclose on the loan, filing a Missouri bankruptcy will stop the sale of the house. Once the Chapter 13 is filed, a repayment plan is created in which you can get caught up on the arrearage (and keep the home safe). This allows you to spread the amount owed out over a period of three to four years. Another reason why someone may wish to file a Chapter 13 is if they want to strip a second mortgage off of their house. Such a thing can be done in a 13 (but not a Chapter 7). So long as the fair market value of the home is less than the primary (or first) mortgage, then the junior lien holder can be stripped out. In doing so, you can potentially knock out tens of thousands of dollars on the overall amount owed on the house. Another scenario that makes a Chapter 13 attractive is that it allows you to pay off a car at a much lower interest rate than most people are dealing with; and, depending how long ago you purchased the automobile, it is also possible to pay the automobile off at the current fair market value as opposed to the balance of the actual loan. This is a possibility if the car was purchased 910 days or more before filing (which works out to be about two and a half years). So if you bought your car in 2007 (which is clearly more than 910 days ago), and the balance of the loan on the car is $13,000, but the Blue Book value is only $7,000, then when you file a Chapter 13 you would only pay back $7,000 over a period of three to five years (instead of the $13K still owed on the contract). The primary reason why someone would file a St. Louis Chapter 7 bankruptcy is that they actually qualify for one. In order to qualify for a Missouri Chapter 7, a couple of very important pieces of criteria must be met. 1) You can only file a Chapter 7 every eight (8) years. So if you have filed a Chapter 7 within the last eight years, the only thing you can file at that point is a Chapter 13. 2) You must be considered a below median income-level household in order to qualify. So for instance, the median (or average) income for a household of two people is: $51,120. If your household income (which must include all sources of income, whether from your primary employment, part-time job, business income, rental income, retirement/pension, etc.) is below this level, then you qualify for a Chapter 7. If you are above this level, it is still possible to get you into a 7, but there are certain deductions and exemptions that must be applied (which may or may not be available to you). 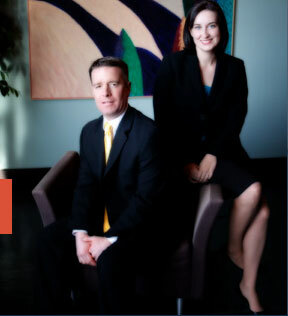 Whether the type of case you file is a Chapter 7 or Chapter 13, the affordable St. Louis bankruptcy lawyers at Brinkman & Alter, LLC have been helping people reach financial freedom for years. Our goal is to ensure that you get rid of all the debt that you don’t want, keep all the assets you do want, and do it all at an affordable price. All phone conversations and office consultations are free of charge.